Cass IAGenWeb Cass County Iowa - Photos - Anita - 1887 G.A.R. 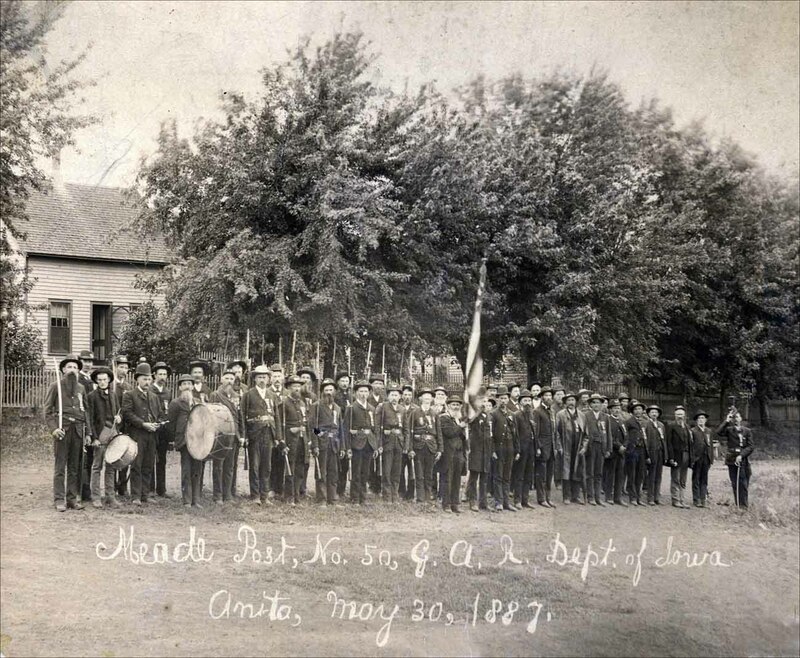 Photos - Meade Post, Anita G.A.R. Meade Post, No. 50, G.A.R. This photo is labelled "Meade Post, No. 50, G.A.R., Dept. of Iowa, Anita, Iowa May 30, 1887."